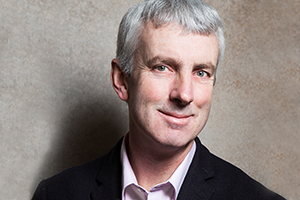 Julian Allwood is Professor of Engineering and the Environment at the University of Cambridge. He worked for 10 years for Alcoa, prior to developing an academic career, initially at Imperial College, and from 2000 in Cambridge. In parallel with developing new manufacturing technologies for metals, he has built up a research group looking at environmental systems and production. From 2009-13 he held an EPSRC Leadership Fellowship, to explore ‘material efficiency’ as a climate mitigation strategy – delivering material services with less new material. This led to publication in 2012 of the book “Sustainable Materials: with both eyes open” which can be read online for free. Julian was a Lead Author of the 5th Assessment Report of the Intergovernmental Panel on Climate Change (IPCC) with a focus on mitigating industrial emissions. He is an Honorary Fellow of the Institute of Materials, Minerals and Mining, a Fellow of the International Academy of Production Engineering (CIRP) and chairman of its metal forming section, a member of the UK’s Energy Research Partnership and is joint editor-in-chief of the Journal of Materials Processing Technology. One of Bill Gates six top books for 2015, Sustainable Materials with Both Eyes Open by Julian Allwood, Dr Jonathan Cullen and colleagues presents an optimistic, entertaining and richly informed evaluation of the sustainable management of our growing demand for materials.